Cyclists from Canada and all over the world looking to ride the most challenging of bike tours amidst the Rocky Mountains, should consider heading south to Colorado for Ride The Rockies. While Albertan and British Columbian cyclists gush over the majestic beauty of the Canadian Rockies, our side of the Rockies definitely lacks bike friendly roads and highways that is so prevalent in the state of Colorado. 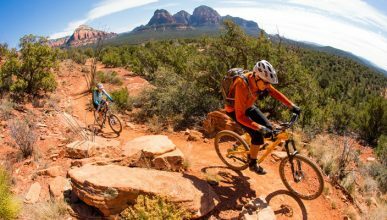 Colorado offers thousands of miles of challenging, thrilling and safe riding. 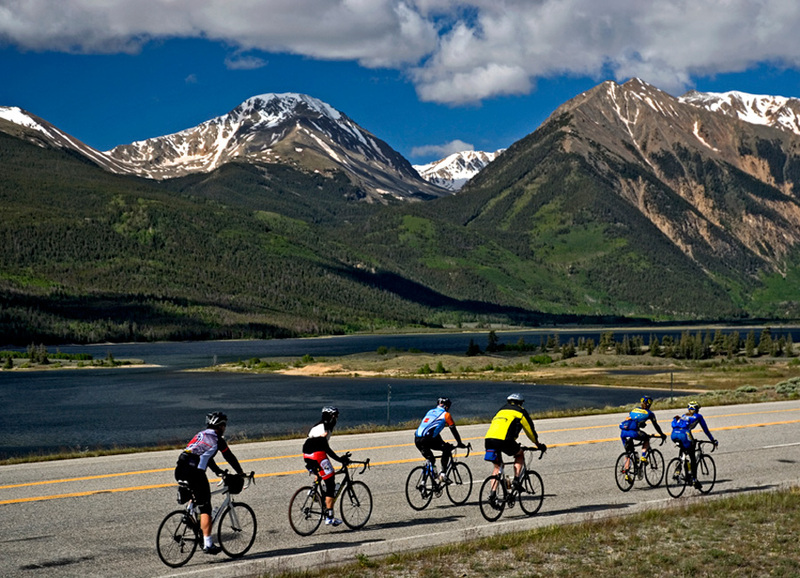 And there is no better way to enjoy Colorado than a week long bike tour with Ride The Rockies. 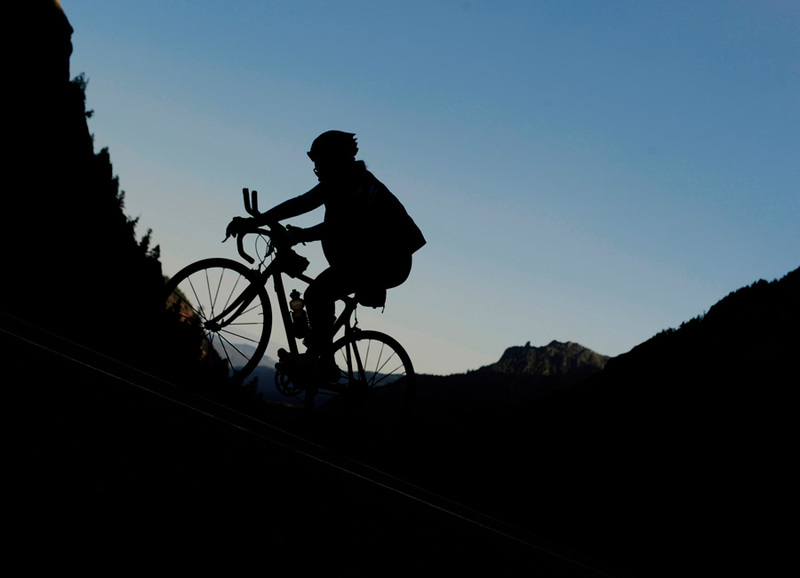 RTR is the oldest and best run cycling tour in all of Colorado – and quite possibly in the USA. With over 2500 participants, RTR generally offers a six day 450 mile plus tour, operating on a 2000 slot lottery format. Cylists can choose valet camping service or one can bring their own setup and camp outside or in high school gymasiums. Many who do not want to brave Colorado’s unpredictable elements purchase a hotel package or book their own accommodations. Camping in Colorado is not for the feint of heart. Besides the obvious that one has to be in great shape, the weather can change rapidly and it is not uncommon to experience all four seasons in a single day. Every year on these types of tours, unprepared cyclists experience frostbite, hyperthermia and other maladies from the cold. On our first day, we embarked on an 8,000 foot, 80 plus mile ride where we experienced thunderstorms, rain, hail, and a major lightning storm, capping it all off with a snowstorm at Berthoud Pass, 11,306 feet. Hundreds of cyclists braved the wind chill that was as low as 13 degrees, experiencing adverse side affects. Some had to leave the tour early due to injuries and frostbite. For us campers, we then had to endure sleeping at night with temperatures dropping to 20 degrees. Preparing for my 95 mile ride to Steamboat Springs the next day, my bike was iced over and in no condition for my great journey. Some of us actually used de-icer spray on our bikes! BRRRR. Being a hearty and brave cyclist I chose to retreat to a Winter Park coffee shop and wait for the temperature to improve. And just like the Colorado I know and love, the weather improved and was near perfect for the rest of the tour. We were able to experience five more days of cycling in near perfect conditions. Using the valet camping service, I came back to my campsite with a tent ready to go, shower towel and a fold up seat waiting for me. Having prepared for this tour to the tune of 150 miles a week of road and mountain biking at altitudes of 3,000 to 5,000 feet, I was more than ready to tackle and conquer 11,000 foot passes. Sleeping at this altitude was a different story, however. I hardly slept a wink all week. Next time: I am going to cheat and hotel it. Valet tent service is pricey at $450. If you bring your own tent and want to camp outside or in a crowded gymnsasium with other snoring cyclists, you can do so for free. RTR offers an accommodations service that will tote your bag to your hotel. I love camping, but sleeping in a nice room with a comfy bed can put some mojo in your legs when you are gearing up for a 100 mile ride. 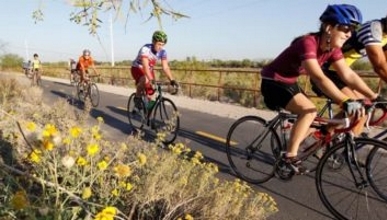 Cyclists who bike on the western side of the USA are often spoiled with bike friendly, spacious roads and highways. Colorado may be the most bike friendly of any state in the USA in that most of the mountain passes have roads that are in good shape with sufficient room for cyclists. Small Colorado towns like Steamboat Springs, Durango, Frisco, and Leadville are very bike friendly. Colorado has a plethora of quaint towns that are fun to bike. Many are indeed a little too touristy, riddled with the typical run of the mill trinket shops that will remind your of Banff, Alberta. However, Colorado seems to take road maintenance very seriously. Cyclists and mountain bikers are everywhere. RTR is a Denver Post non-profit backed tour. Profits go to Denver Post designated charities. The tour is run at a high level from top to bottom. There are aid stations offering water and Gatorade and some minimally salty foods about every 20 miles or so. A cyclist never has to carry more than two large bottles. RTR provides medical support, consistent SAG support as well as emergency transportation should weather conditions become too dangerous to traverse. I have been on Colorado bike tours who have failed to offer propper support, including failing to offer aid stations as promised. This Denver Post backed tour has deep pockets and does most things right. At most aid stations, there will be two or three food vendors, offering reasonably priced hot meals and drinks. Biking from town to town, over steep passes , clear rivers, windy creeks, and scenic country roads that cut through lush farm fields, you will breath the cleanest air and feel like you are one with nature. You will get done with an exhausting, exhilerating 80 mile ride, surrounded by like minded cylists ready for a big dinner and a great sleep, wanting and demanding more Colorado. And on a sun drenched Colorado day, looking ahead at Estes Park or one of Colorado’s many splendid mountains that seem to touch the sky, you won’t be the only one to start singing John Denver’s “Rocky Mountain High”. RTR generally offers a 6 day bike tour to 2,000 cylists on a lottery format. Entry is $450. Applying as a Canadian or from a non USA address is believed to enhance your chances of being successful. Typical tour covers 450 plus miles and some days can offer over 8,000 feet of climbing. Routes can change based on incliment weather or acts of God such as fires. Next years tour is offered June 13 – 20. ** Colorado weather is HIGHLY unpredicatable. Cylists can expect to experience all four seasons in a single day! Unprepared cyclists are often victimized by hypothermia and frost bite. Come prepared! *Colorado is the most bike friendly of any state in the United States. RTR is very good about choosing tours and rides that are safe. That being said, cycling at this altitude, along with the distance with sharp decents offers plenty of danger. Fatalities and serious injuries are common on these types of tours because cyclists fail to understand the elements and are careless. Use caution! Cycling the Rocky Mountains is a high risk endeavor. Take proper precautions and have fun.